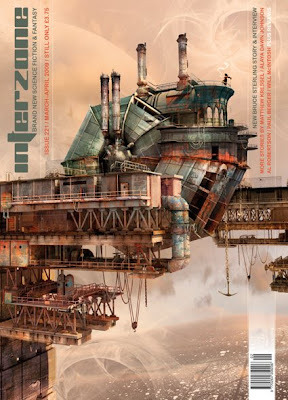 You could spend an awfully long time looking at the cover of Interzone #221. The detail in Adam Tredowski’s illustration is amazing. There’s a variety of artwork inside too, of which I particularly liked Lisa Konrad’s illustration that beautifully reflects the spirit of Alaya Johnson’s story ‘Far and Deep’. As for the fiction, a wide and interesting variety again.